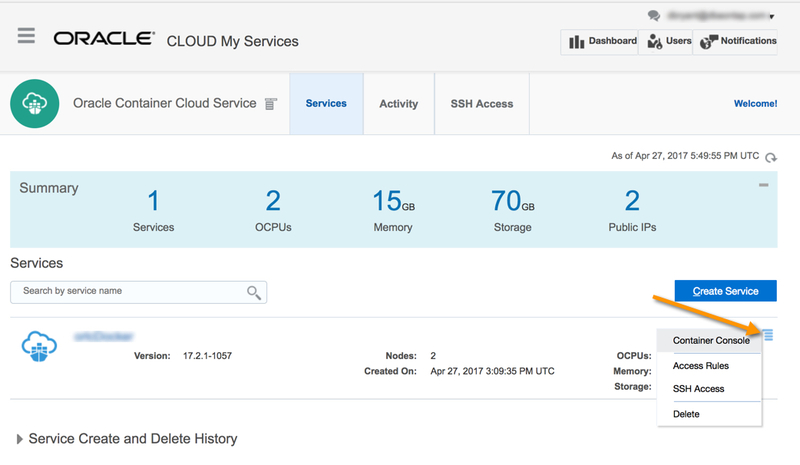 A few weeks ago, we walked through the process of creating an Oracle Container Cloud Service Instance. 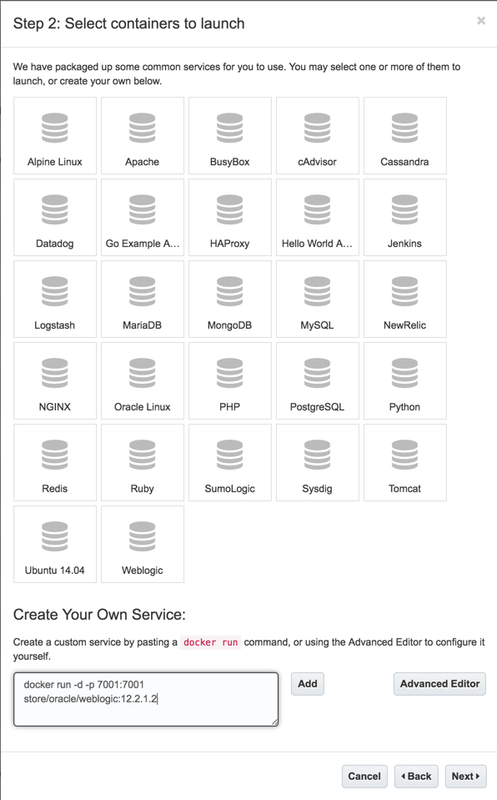 Since then, “Oracle announced today that it is collaborating with Docker to release its flagship databases, middleware and developer tools into the Docker Store marketplace via the Docker Certification Program.” You can read more about that here. 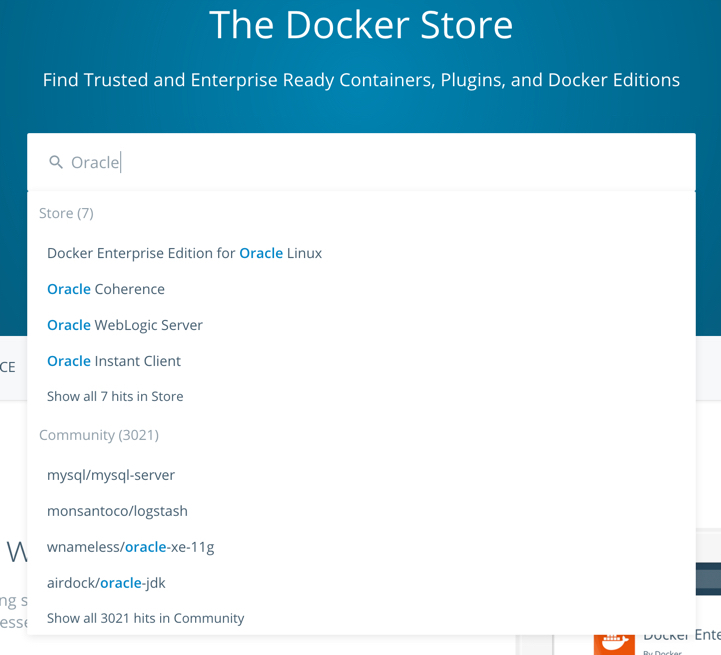 A quick search at the Docker Store for Oracle reveals a number of Oracle products. 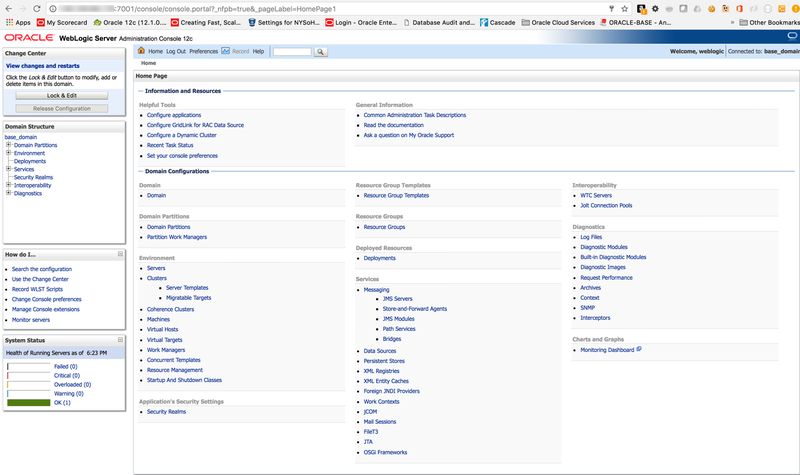 You will notice Oracle Weblogic Server is one our options. Let’s deploy that one. 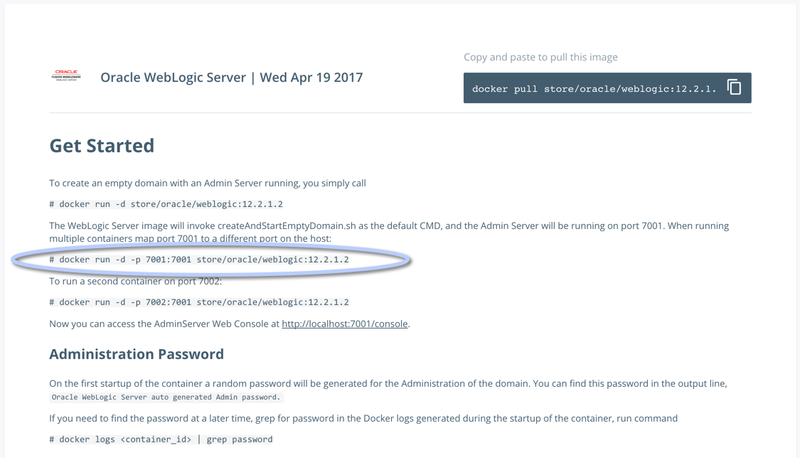 The first thing we need to make sure that our Container Cloud Service can authenticate to the Docker Store. Select the Registries link from the side navigation and click the New Registry button. 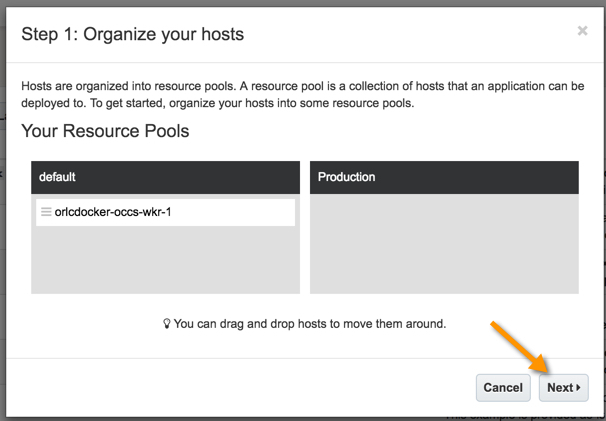 If you already have the Docker Store entry, you can skip these next couple of steps and get right to the deployment process. Then, define a new Registry definition for the Docker Store. Set the URL to: index.docker.io/store and add your Docker credentials for email, username and password. Click the “Validate” button to test the connection. Then “Save” your new registry entry. 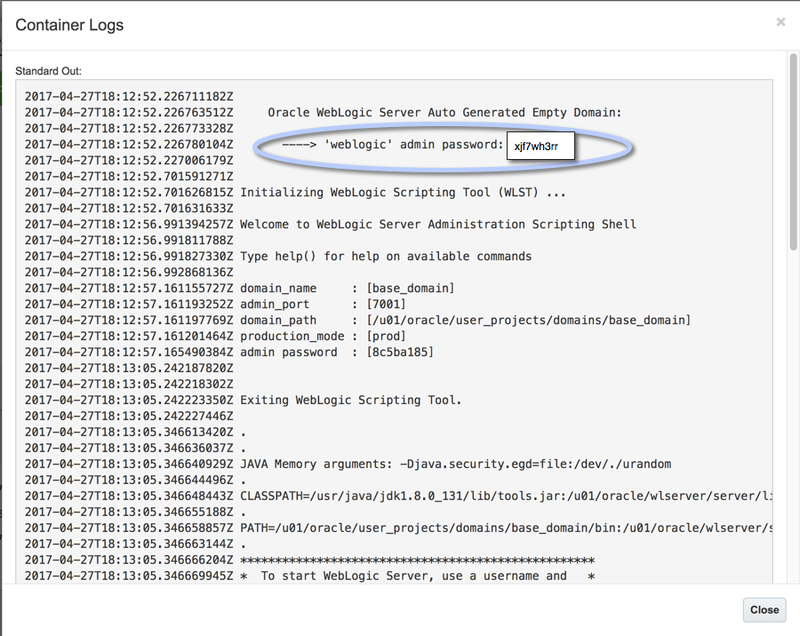 Now that we can connect to the Docker Store from the Container Console Registries setup, open a new browser and log into the Docker Store and search for Oracle. 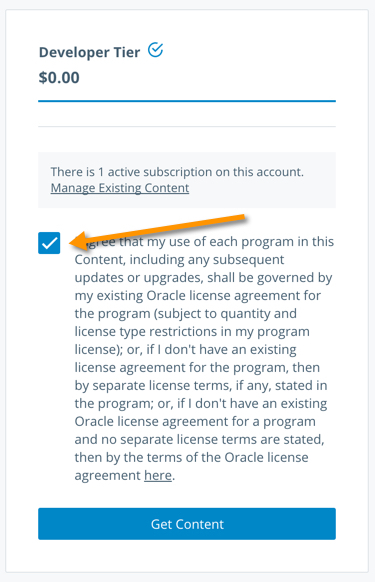 Click on Weblogic Server to add it to your Content by accepting the license agreement. 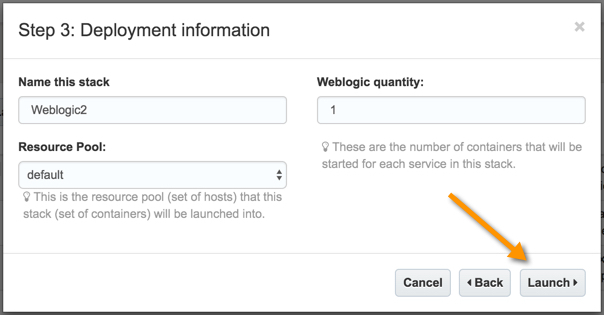 Click the “Setup” button to get instructions on how to deploy this Weblogic Image. Take note of the entry I have circled. You will need this shortly, but now we need to get back to your Container Console. 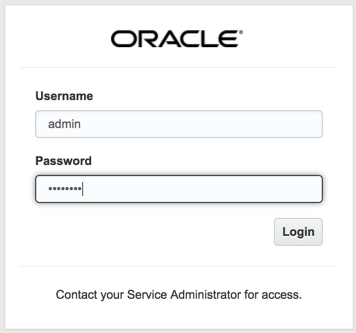 On Step 2, copy and paste this “docker run -d -p 7001:7001 store/oracle/weblogic:12.2.1.2” into the “Create Your Own Service” box and click “Add”. This command will basically launch your Weblogic Service and expose it to port 7001. Your newly added service will be highlighted and you can click “Next”. 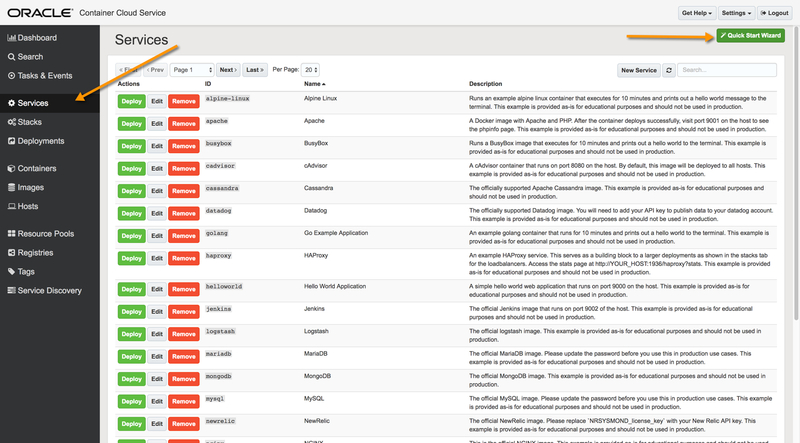 After a few minutes, your Deployments screen will hopefully look like the image below. With a successful deployment, we need to gather a couple of additional bits of information so we can log into the Weblogic Server. 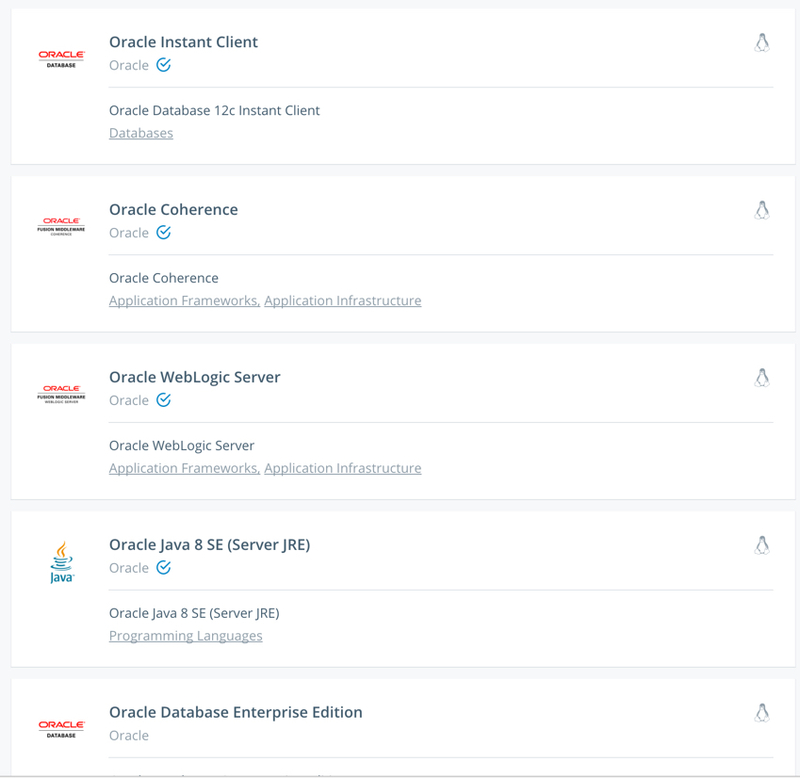 If you have made it this far, you are now ready to test connection to Weblogic Server deployed in the Oracle Cloud Container Service. Now you can access the AdminServer Web Console at: http://<public_ip_address>:7001/console, and using the weblogic/password information.